PUNE, India–The automotive silicone market is projected to grow to $3.33 billion by 2023 at a compound annual growth rate of 7.1 percent, according to new market research by MarketsandMarkets. “Automotive Silicone Market by Type (Elastomers, Gels, Resins, Fluids), Application (Interior & Exterior, Engines, Electrical), and Region (APAC, Europe, North America, South America, Middle East & Africa) — Global Forecast to 2023” projects market growth attributed to increasing demand for automotive silicone in applications in emerging economies, according to a MarketsandMarkets release. Increasing adoption of strategies such as new product launches and agreements, and joint ventures by players operating in the market is also fueling the market. 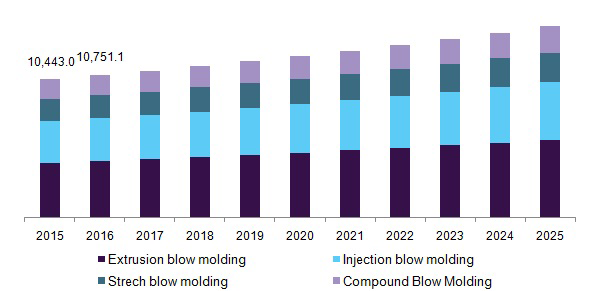 The Asia-Pacific region is expected to be the fastest-growing market for automotive silicone during the forecast period, with significant opportunities available, MarketsandMarkets said. Increasing use of automotive silicone in various applications, such as interior & exterior, engine components and electrical applications, is driving that expansion. By application segment, interior & exterior is the largest of the automotive silicone market, used in products such as airbags, exhaust hangers, exterior trim and headlamps. Automotive silicone is used for processes such as bonding and sealing, adding lubricity to weather stripping and side molding, and automotive paint additives. It also reduces the weight of vehicles and lowers emission. Elastomers make up one of the largest type segments of the market, used in applications like interior & exterior, engine components and electrical. The use of silicone elastomers has revolutionized building and designing in the automotive industry, MarketsandMarkets said. Major players, such as DowDupont (U.S.), Evonik Industries A.G. (Germany), Shin-Etsu Chemical Co. (Japan), Momentive Performance Materials Inc. (U.S.) and Elkem Silicones (Norway), have adopted development strategies with agreements, collaborations and new product development to achieve growth.